Studio Blog: Pancake Day: Origins, Recipes and More! Pancake Day, also known as Shrove Tuesday or Fat Tuesday, is the one day of the year devoted to eating pancakes and other fatty foods. It always falls on the Tuesday before the start of Lent, and is celebrated in different ways across the world. In the UK, Canada, Australia and Ireland, people choose to eat crepe-style pancakes for either breakfast, lunch or dinner. 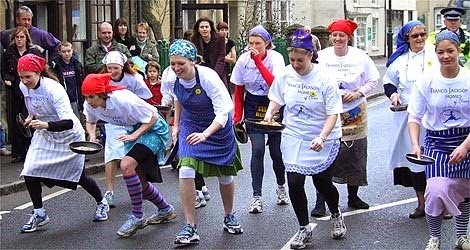 And certain villages, including Olney in Buckinghamshire, put on Pancake Day events, such as their famous pancake race. 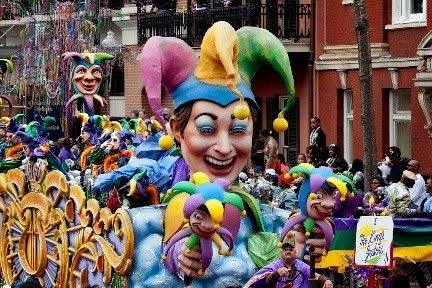 In parts of the US and many Catholic countries, such as Brazil, Pancake Day is referred to as Mardi Gras, which translates to Fat Tuesday. These celebrations are much bigger than in other countries, and involve street processions, fancy dress and food stalls. 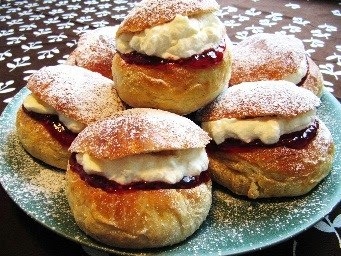 As for Scandinavia and many eastern European countries, they choose to eat their own special pastries. In Finland, the day is called Laskiainen, and they celebrate by sledging and eating a popular Finnish treat called laskiaispulla, which is a sweet bread filled with cream, jam and almond paste. As Lent was (and still is in many places) a period of fasting, prayer and good behaviour, people needed a way to get rid of the fatty foods in their homes before the season started. And what better way to get rid of all the sugar, eggs, milk and lard in your home than by making pancakes? Much plainer foods were traditionally eaten in the period of Lent, so Pancake Day offered an excuse to indulge in fatty foods before the heathy eating started. In Slavic culture, before the Christian era began, the Slavs believed that the change of seasons from winter to spring was a battle between Jarilo (the God of vegetation and springtime) and the spirits of the cold and darkness. To help Jarilo, the Slavs made pancakes as they symbolised the sun. And when they ate the pancakes, they believed they received power and light from the sun. Prepare pancakes following a classic recipe (see above). Lightly brush a baking sheet with sunflower oil. Tip the caster sugar into a medium-size saucepan, add 2-3 tbsp of water and set the pan over a low-medium heat to allow the sugar to slowly dissolve into the water. Bring to the boil and continue to cook until the syrup becomes amber-coloured caramel. Working quickly, tip the blanched almonds and salt into the pan and continue to cook for 30 secs-1 min until the caramel turns deep amber and the almonds are toasted. Tip the praline onto the oiled baking sheet and leave until completely cold and hardened. Break the praline into chunks and whizz in the food processor until coarsely chopped. To make the chocolate sauce, combine all the ingredients in a heatproof bowl set over a pan of barely simmering water. Stir occasionally until smooth and silky. Remove from the heat and cool to room temperature. Heat oven to 180C/160C fan/gas 4. Lay one pancake in the bottom of a 20cm springform tin and spread over 1 tbsp of chocolate sauce. Scatter with chopped praline and top with another pancake. 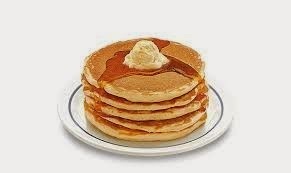 Continue in this manner until you have used all 12 pancakes, topping the stack with a pancake. 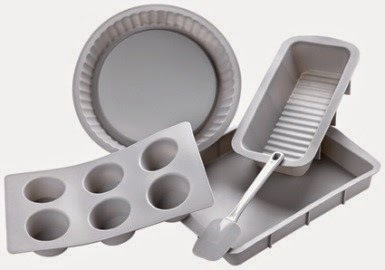 Cover the tin with foil and bake on the middle shelf of the oven for around 20 mins or until hot through. Gently warm the remaining chocolate sauce, cut the cake into wedges and serve scattered with the remaining praline chocolate sauce, and a bowl of lightly whipped cream alongside. 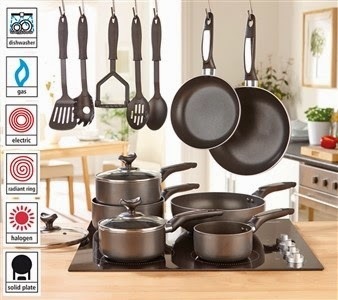 Have you been inspired to get creative in the kitchen? 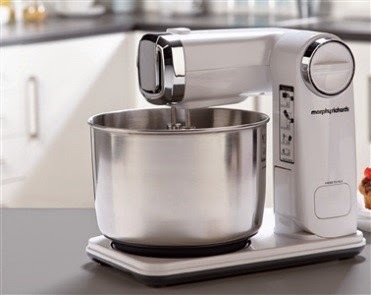 Then take a look at some of our fantastic Food Mixers, cookware products, and baking sets perfect for creating cakes, biscuits, pancakes and more!